In this updated edition, sight-fishing expert Landon Mayer teaches you what you need to know to spot the trout before you cast--because if you can see a trout, you are more likely to catch that trout. 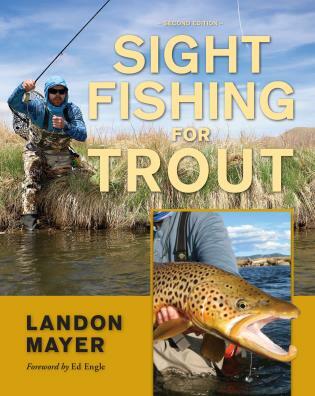 In this comprehensive book on the tricks and skills anglers need to master, Mayer reveals his knowledge of trout and trout water, learned through years of fishing and guiding on prime trout waters. Hunting for large trout with lightweight fishing equipment is what Landon does best. With detailed instructions on how to cast into tricky spots, how to present the fly whatever the conditions, and how to read the rise, he gives you the extra edge to find and catch more and larger fish. He tells you where to look for the trout, how to rig your line, how to retrieve the fish when you get a strike, and how to use the buddy system for a more productive day on the water. Sight fishing is intriguing, fun, addictive, and best of all, it gets result--more and bigger trout. Landon Mayer is a fly-fishing instructor, guide, and writer with nearly two decades of experience. He is a contributing writer for Fly Fisherman and High Country Angler, and his contributions have also been featured in Field & Stream, Fly Rod & Reel, American Angler, and Fly Fisherman magazines. Landon's previous books include Sight Fishing for Trout, Colorado's Best Fly Fishing, and How to Catch the Biggest Trout of Your Life.